4D Technology which factors in the leading dominant eye, along with other personalized measurements for a faster visual experience. 2. NanOptix (a technology that virtually eliminates swim effect and offers stability in motion) and 3. SynchronEyes (a technology that gives more expansive vision than ever before in a progressive lens). EyeZen Plus – These lenses help to reduce strain from viewing digital devices. They also help to minimize the progression of myopia (near-sightedness) in children. Transitions – Seamless comfort and protection in any light. Helps your eyes adjust to changing light, blocks 100% of UVA/UVAB rays. They also help to reflect some of the harmful blue light when they are in their activated (darkened) state. Crizal Prevencia – For the clearest vision possible. Helps to reduce glare and reflections, helps to resist scratches, and helps to absorb some of the harmful blue light. See Better, Look Better, Feel Better. Xperio UV Polarized Lenses – Protects your eyes from brightest sunlight, glare, and harmful UV rays. They also provide excellent color perception. 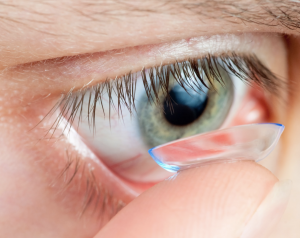 Here at Family Eye Care, we are pleased to offer Daily Disposable Contact Lenses. We are dedicated to ensuring they fit correctly. 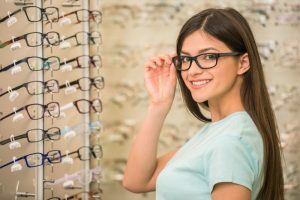 When choosing contacts, we will go over your options to decide the best type of lenses for your eyes, especially if you have any conditions that don’t make you a good candidate for regular contact lenses. We also have access to other types of lenses for patients that are not able to wear daily disposables.